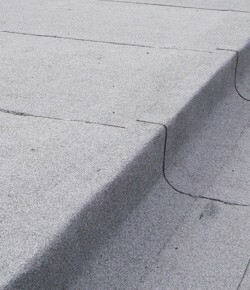 Felt roofing has always been popular for flat roofs in Hull as it's cost effective and durable. We have years of experience in a wide range of materials including built up felt, so you can rely on us if you need felt roof repairs or a brand new roof in built up felt. Across the area, this material is most often used on garages, sheds, outbuildings and single storey flat roofs such as extensions. What are the benefits of built up felt roofing? We have many years of experience and over the years, the outstanding quality craftsmanship we offer across Hull has earned us a great reputation. All of our services are also offered at affordable rates so that everybody can benefit from stunning roofs on their homes and properties. If you'd like a free estimate, give us a call on 01482 549 915 today.